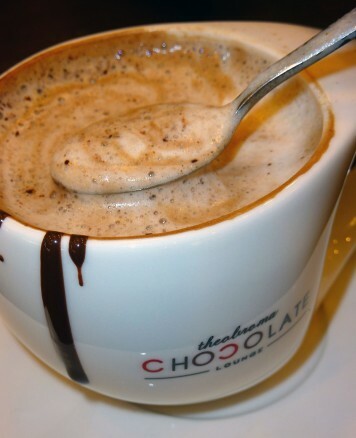 Miss Coco Mocha (RM9.90) Unbelievably rich and chocolatey! 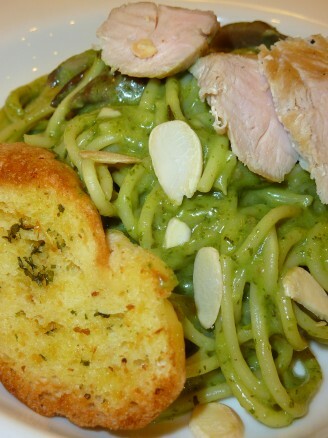 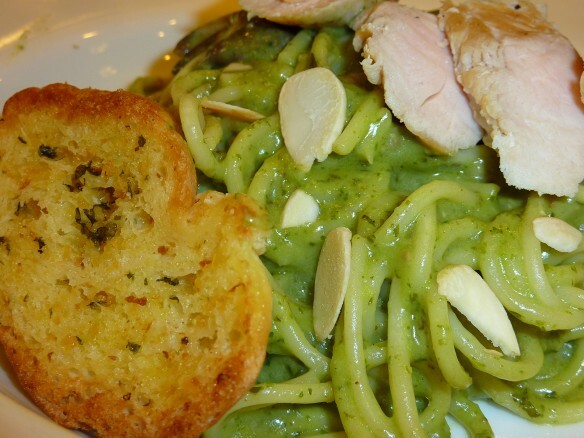 Pesto Pasta with chicken slices and pine nuts (Rm21.90) With slice of garlic bread, and a creamy sauce made with garlic, basil, parsley and parmesan cheese. 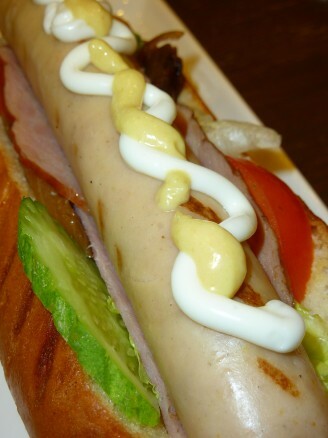 Panfried chicken breast on top. 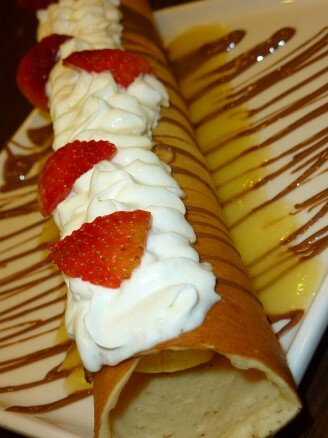 Banana Crepe (RM15.90) with chocolate sauce, whipped cream and strawberries. 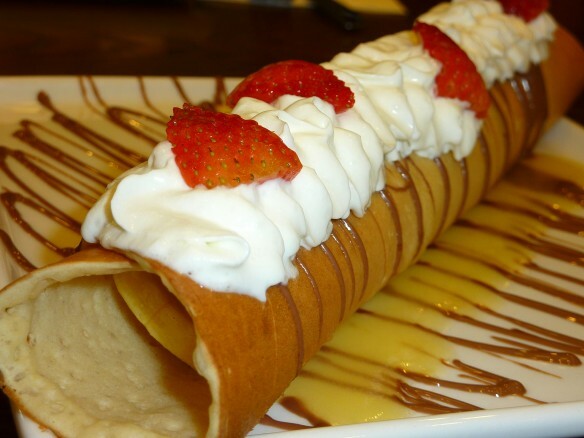 Big and fat!